I’ve been a fan of the Toyota RAV4 for a while. I got to drive the hybrid version a while back and discovered this little SUV is roomier and has a higher stance than my Camry, and the fuel economy is just as good. I was already willing to trade my Camry for a RAV4 before I drove the 2018 Toyota RAV4 Adventure. This new Adventure trim adds a whole new layer of fun, style, and practicality to the vehicle. It fits my lifestyle even better than ever. I love the all-weather floor mats in the cabin and cargo areas. I like the higher ground clearance, Adventure emblems, and more rugged interior appearance. 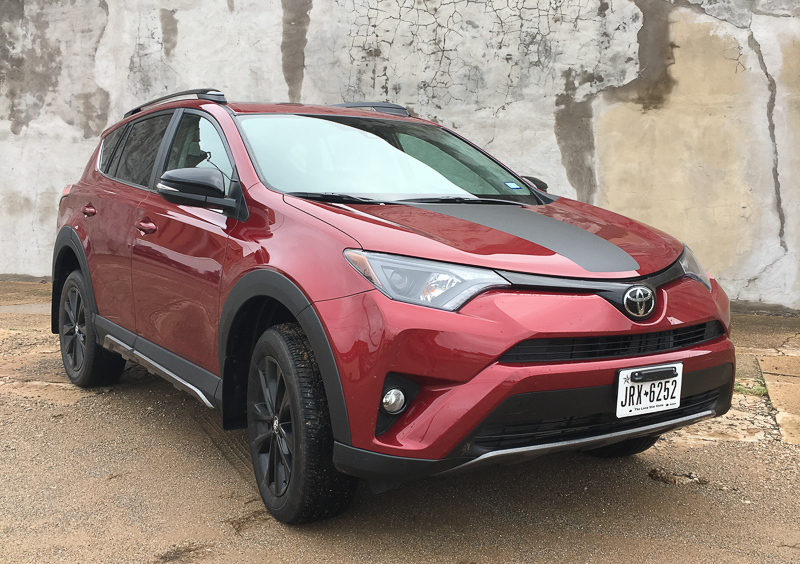 Read my full review of the Rav 4 Adventure over at A Girl’s Guide to Cars: Is the Toyota RAV4 Adventure the Best Compact SUV?